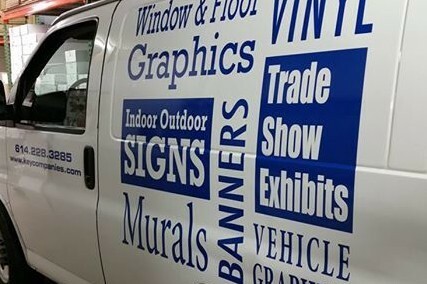 Vehicle Graphics | Key Blue Prints, Inc. Looking to drive your business? Key is ready to help you advertise your business or products as you drive through town. Our team can design and install a complete covering of your vehicle or just add graphics to side panels or windows. Bring brand exposure in every commute for your business, or just look great while protecting your paint.